Creative template for Google Ad Manager (GAM), formerly DoubleClick for Publishers (DFP). Interstitial ads are full-screen ad formats covering the interface of a website. The ad is visible for a select number of seconds. Creative template for Google Ad Manager (GAM), formerly DoubleClick for Publishers (DFP). 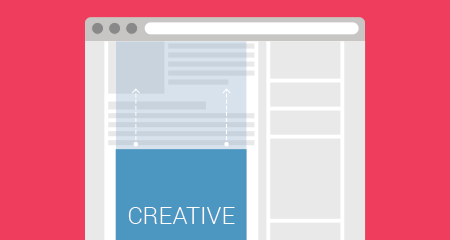 This creative template shows banner over the web page's content in the fixed position. 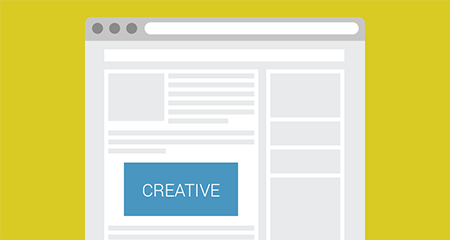 Creative template for Google Ad Manager (GAM), formerly DoubleClick for Publishers (DFP). This creative template makes banner slide out from any side of the browser and shows it over the content of web page. Creative template for Google Ad Manager (GAM), formerly DoubleClick for Publishers (DFP). 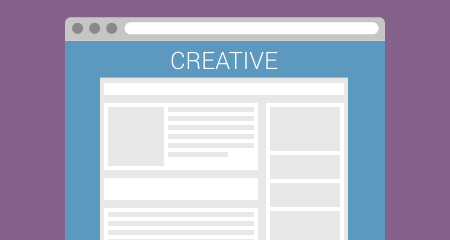 This creative template (also known as Skin) wrap frame of a web page with creative. 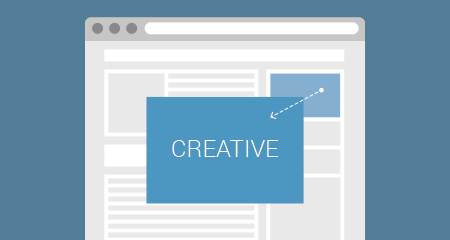 Creative appears as the background of a web page. Creative template for Google Ad Manager (GAM), formerly DoubleClick for Publishers (DFP). This template expands one banner to another banner on user interaction. Creative template for Google Ad Manager (GAM), formerly DoubleClick for Publishers (DFP). 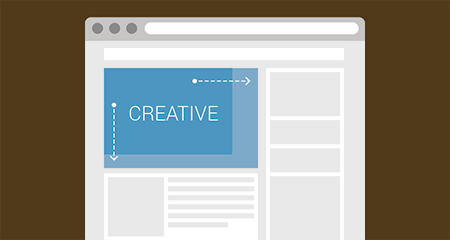 This creative template shows banner over web page's content in the fixed position when a user interacts with the base banner. Creative template for Google Ad Manager (GAM), formerly DoubleClick for Publishers (DFP). This creative template shows banner with parallax effect - keeps the banner in the background and in the fixed position while a user is scrolling up or down. Creative template for Google Ad Manager (GAM), formerly DoubleClick for Publishers (DFP). 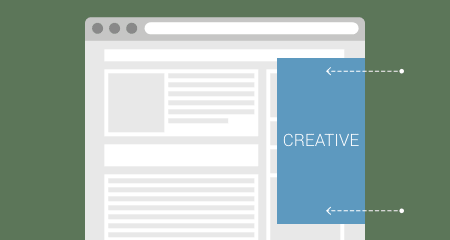 This creative template shows a banner that appears over the webpage at the bottom of the browser window and keeps that position during user scroll. Also known as Catfish. Creative template for Google Ad Manager (GAM), formerly DoubleClick for Publishers (DFP). This creative template shows a banner in between the text content. Also known as in-article ads. Creative template for Google Ad Manager (GAM), formerly DoubleClick for Publishers (DFP). This creative template shows repeatedly image banners fixed to the bottom of a browser window and spins it around in horizontal direction. Creative template for Google Ad Manager (GAM), formerly DoubleClick for Publishers (DFP). 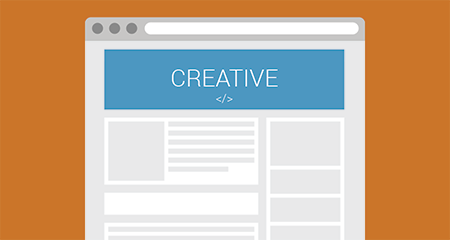 The creative template serves hosted HTML5 ad by document URL via iFrame tags. Serve video, dynamic server-side ads, and other non-standard ads. Creative template for Google Ad Manager (GAM), formerly DoubleClick for Publishers (DFP). 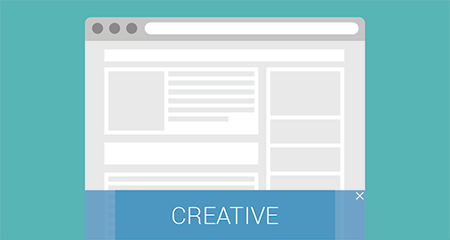 This template makes a creative container responsive by keeping the defined aspect ratio of creative. Choose the required template for Google Ad Manager and download a file after purchase. This file is a zip bundle which contains a template file and the installation instructions. Log in to your Google Ad Manager account and import a template file downloaded in the previous step. High privacy, we don’t want and can’t access your data in this way. When you have finished setting up a line item in Google Ad Manager, add a creative by selecting the installed template under the "User-defined template" section. Fill the form that appears, and save a creative. 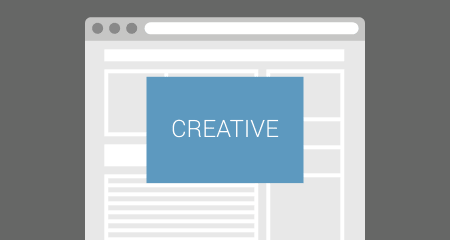 Check the creative on your website. 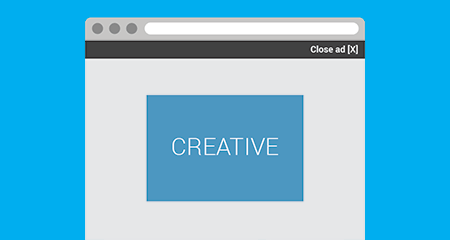 Make changes in settings of creative to make the best appearance for the targeted website. That’s all. All licenses are perpetual and include 1 year of free template updates and support. Charges to your account will be made in Euros. USD prices are provided as a convenience and are only an estimate based on current exchange rates. Local prices will change as the exchange rate fluctuates. How do I receive purchased GAM/DFP template? You will get download URL for a file of import ready GAM/DFP template after purchase immediately. Also, download URL will be sent to your email. Can I use GAM/DFP template on multiple domains? Yes. You can use purchased GAM/DFP template on as many domains as your GAM/DFP account is configured. The license is limited to single GAM/DFP account. Can I use GAM/DFP template on multiple GAM/DFP accounts? No, a single license is for single GAM/DFP accounts. You can buy more licenses on cart page for each your GAM/DFP account. No, we don’t charge automatically, and there are no recurring subscriptions. To get access to most services after year, you should make new purchase or repurchase from your current purchase page. What if I don’t renew my purchase after year? The price includes a lifetime usage license and one year of free access to downloads, updates, customization system, and support. Therefore after one year, you will not receive updates and access to other membership features. But you may still use your lifetime license as long as you need. Can I still use the GAM/DFP template once my membership expired? Yes, you can use downloaded versions of GAM/DFP template as long as you want. Purchase includes lifetime usage license. Currently, the available payment methods for purchasing from our website are PayPal and Credit Card. How do you keep my card data secure? We use Braintree Payments (a PayPal company) to process credit card payments which is internationally respected for payment processing and is entrusted by large multinational brands. Card data you provide goes directly to Braintree over encrypted channels without touching our servers.  Async tags Supports asynchronous/synchronous tags.  Tracking options With/without target URL, 3rd-party impression tracking options.  Easy install Import ready file for Google Ad Manager and instructions included.  Technical Support We will help with any questions regarding the installation or questions on how to use the creative template.